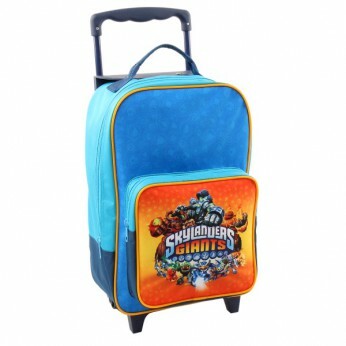 Skylanders trolley backpack with 1 main compartment and a large front pocket. Main compartment and pocket closed with a zipper. Features full colour print…. This toy costs approximately £8.49 (for the latest and best prices make sure you check our retailer list for the Skylanders Giants Trolley Backpack above). In our review of Skylanders Giants Trolley Backpack we classed it as being suitable for ages 8 years, 9 years, over 10 years but recommend you check the manufacturer specific advice before purchasing.